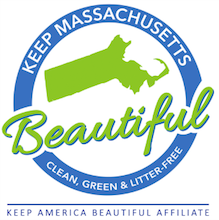 Massachusetts Sponsor A Highway® is partnering with Keep Massachusetts Beautiful to encourage more businesses to participate in the state’s Sponsor A Highway program. Massachusetts Sponsor A Highway will donate $100 for every sign sponsored by businesses that sign up through the Keep Massachusetts Beautiful website. Additionally, each sponsor will receive a $100 discount on the initial investment for design and installation of their sign. Sponsor a Highway cleanup crews are contracted to perform litter removal 14-24 times per year on a two-mile stretch of Massachusetts highway. The business sponsor receives recognition in the form of a branded road sign that includes the sponsor’s name and logo. Sponsorship fees vary depending on the condition of the road and volume of litter. “We are proud and excited to be associated with Keep Massachusetts Beautiful and the many great causes they support,” said Robert Davis, National Director of Sales and Marketing at Massachusetts Sponsor A Highway. “Litter along Massachusetts highways remains a serious problem, so we truly appreciate Massachusetts Sponsor A Highway’s support in helping us grow this valuable program. Because unfortunately, the litter and debris along our highways is not going to clean itself up,” said Neil Rhein, executive director of Keep Massachusetts Beautiful.